Georgia’s Parental Accountability Court (PAC) program recently received an award from the National Child Support Enforcement Association (NCSEA). PAC “intends to assist families by offering an alternative to incarceration for chronic nonpayers of child support.” By 2017, the program operated in 31 of Georgia’s 49 judicial districts and included: volunteer opportunities, literacy training, job assistance/placement, mental health services, clinical assessments substance abuse treatment and coaching/mentoring. From 2012 through 2017, the PAC program reported working with 4,758 noncustodial parents who subsequently paid an estimated $5.3 million in child support. To be accepted into the program, noncustodial parents must have been: incarcerated or in contempt of court for failure to pay child support/child abandonment or referred in lieu of incarceration. This suggests that Georgia incarcerated or was on the verge of incarcerating up to 4,758 parents (who likely were experiencing poverty and unemployment, and therefore had no ability to pay) for chronic nonpayment of pay child support. According to the most recent and reliable research on this issue, nationally, 83% of child support debt is owed by parents whose income is less than $20,000 and 42% is owed by parents with no reported income (Sorenson et al, 2007). The extent to which people in Georgia’s PAC were poor is unclear, but the national data suggests that many of those parents may not have had the ability to pay. Not having a job and/or being poor is stressful. Parenting is stressful. Parenting when there is court-ordered child support is often more stressful. The threat of incarceration is anxiety producing and the reality of incarceration is destructive to children and parents. The chance for relief from the stress of debt that is offered by programs like PAC is attractive for parents struggling to support themselves and raise their children. For more than 20 years, mothers, fathers and loved ones have described this situation to the Center for Family Policy and Practice (CFFPP) in interviews and listening sessions. Parents try to avoid incarceration for all the reasons anyone would—including the fact that it separates them from their children and makes it virtually impossible to provide any kind of support for them. They regularly tell us that when the threat of jail for nonpayment of child support is imminent, family and friends rally to try and keep the parent with court-ordered child support out of jail. This means grandmas, aunts and uncles, nieces and nephews, girlfriends, friends and neighbors pitch in. Custodial parents have contributed to keep the other parent out of jail. Grandmothers have contributed from their Social Security checks. (See What We Want to Give Our Kids, p. 14-15 and If I Had Money, p. 15-17.) Many of the contributors also struggle to make ends meet, but they don’t want to see someone they care about, especially a parent, go to jail. In other words, money is yanked from struggling families and communities to keep the parent (who is likely experiencing poverty and unemployment) out of jail. In 2016, child support debt in Georgia totaled $2.4 billion. Ironically, in the case of a family that currently receives or has ever received Temporary Assistance for Needy Families (TANF) cash benefits, when any of the court-ordered amount is paid through the state, only a small portion of that child support payment may actually go to the custodial parent. In accordance with state and federal law, money paid on behalf of some of the very poorest parents and families, can be retained by the state as reimbursement for public benefits received by the custodial parent. In Georgia, $295 million of the 2016 child support debt was earmarked to the state as reimbursement for TANF (see Child Support Debt in Georgia Frustrates Family Economic Security for Black Parents and Children). PAC is one of many programs focused on getting noncustodial parents to pay their court-ordered child support. If we also want to support parents’ ability to raise kids, then we need in-depth information and research about where the child support payments come from, where the money goes and what impacts the system has on parents, their families and their communities. Understanding the impacts and creating policies and programming that support parents also necessitates that child support agencies report the demographics—race, ethnicity, gender, income—of all noncustodial and custodial parents and their children, so that disparities can be tracked. Research must move beyond simply how much child support these parents pay to the state disbursement center to include demographics about the parents and the impacts of the system on parents’ ability to raise kids. The federal Office of Child Support Enforcement has recently published its Annual Report to Congress for FY 2015. The number of children and parents served by child support agencies nationwide has continued to steadily decline over the past five years.1 This is despite the number of children in the USA remaining relatively stable during the same years. This decline in the number of cases is especially sharp, down more than 11%, among children who have ever received Temporary Assistance for Needy Families (TANF) cash benefits. This may be due to a couple factors: (1) the historic and ongoing declines in the number of children receiving TANF from the States where they live; and (2) an increasing reluctance from custodial parents with low incomes, particularly women of color, to involve themselves in both TANF and the formal child support enforcement system when their child’s other parent, usually the father, has no ability to pay court-ordered child support. The new report also reveals that fully 24% of all child support debt, amounting to more than $27 billion, can be retained by the government to reimburse TANF benefits that children have received.2 In 2015, nearly $1.3 billion of parent’s child support payments were actually retained by the federal and State governments to reimburse TANF and foster-care benefits that children received.3 Because the large majority of child support debt is owed by parents with no or low reported income, it is likely that a large majority of this $1.3 billion paid represents money retained from parents of color with low incomes—and includes contributions from their adult children, family members and communities, as documented in CFFPP’s recent studies. 1 Cases have dropped by about 7%; see Table 2, top four rows, page 255. 2 See Table 89, page 342. 3 See bottom rows, Tables 14 and 15, pages 267-8. 2-no longer requiring the pursuit of child support as an eligibility requirement for social assistance. In part, these changes are grounded in the understanding that noncustodial parents are more likely to pay child support when they know that the money will go directly to benefit their children. Also, it seems that policy makers in Waterloo have come to recognize that custodial parents who are eligible for government assistance also need the total amount of any cash contribution their co-parents make. Child support and public assistance philosophies, policies and practices in the United States play out differently. 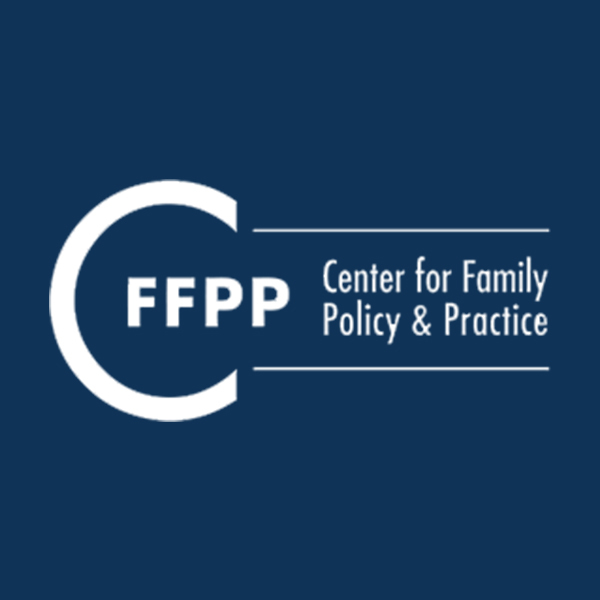 Under federal law, Temporary Assistance to Needy Families (TANF) eligibility requires parents to “cooperate” with the state child support agency in establishing orders for paternity and child support child (Sec. 454. [42 U.S.C. 654] of the Social Security Act). This federal policy requires TANF (and other social service) applicants, to assist the state in establishing and enforcing orders by: naming the likely noncustodial parents, providing contact information, participating in genetic testing, appearing in court as a witness, handing over to the state any cash received by the custodial parent from a noncustodial parent in arrears, and performing other activities that-in the discretion of the agency-assist in enforcement of the child support order. Currently, in the Unites States, cooperation with the child support enforcement agency is required for TANF and Medicaid benefits. While there is not a federal requirement for the , the Food Stamp Program (FSP) or Child Care Development Block Grant (CCDBG) assistance, many states require child support cooperation to access or receive full benefits from those programs. Given that there are parents that willfully and intentionally don’t pay child support, it is reasonable to assume that cooperating with the child support enforcement agency is in the best interest of children, custodial parents and noncustodial parents, but oftentimes, that isn’t the case. For example, we recently heard from a custodial parent who was scheduled to be in court as part of paternity establishment and her baby woke up during the night with an ear infection and all the associated challenges. The custodial parent could not get through on the telephone to her local child support enforcement agency to let them know she wouldn’t be in court that day. Because she failed to appear in court, the agency labelled the custodial parent as “non-cooperative” which resulted in the custodial parent losing her Medicaid insurance benefit and getting sanctioned by TANF (which means less cash). A noncustodial parent recently shared that he was ordered to court for a child support hearing on a day he was scheduled to work at his new job. Consequently, he was forced to choose between skipping work and losing the job the court ordered him to find or skipping court which is a violation of the child support cooperation requirement, and risk being found in contempt, serving jail time, thereby losing his job. For that father, cooperating with the child support enforcement agency did not help him positively contribute to his child’s life. Those examples highlight a few of the ways that practical application of the child support cooperation requirement disrupts and detracts from the efforts of many families with low-incomes and employment instability to care for themselves and their children. Linking child support cooperation to social assistance programs can have the impact of taking economic resources from the children and families with the greatest need, denying services to children and parents that programs are supposed to serve, creating debt and furthering economic instability for custodial parents, non-custodial parents and their families and communities. In other words, in the United States, cooperating with the state child support enforcement agency can disrupt the stability of low-income families and not cooperating can have dire impacts as well. It is estimated that the Waterloo Region of Ontario, Canada will put an extra $75 million a year into the pockets of parents with low incomes which increases the likelihood that child support will be paid to custodial parents by not deducting child support from noncustodial parents’ social assistance checks and by not requiring child support cooperation to receive social assistance. These efforts to change policies which create and/or perpetuate the cycle of poverty might just help custodial parents, noncustodial parents and their children move toward economic security. Child support cooperation is a far-reaching policy in the United States that undermines the economic security of low-incomes families at every turn. This is the first piece in a series on child support cooperation policy and practice. In his budget, to be released this week, Wisconsin’s Governor Scott Walker is expected to roll out Wisconsin Works for Everyone, a plan which will further aspects of the state’s Temporary Assistance for Needy Families (TANF) program also known as W-2 or Wisconsin Works. Self-sufficiency is the stated goal of the Wisconsin Works for Everyone proposal, which seems to mean not utilizing safety net services to care for one’s self or family. It makes sense for the state to want adults and parents to provide for themselves and their children financially. Of course, most parents want the same thing. A fundamental component of Governor Walker’s proposal would require able-bodied parents whose children are ages 6-18 and who receive FoodShare benefits (aka food stamps, SNAP, QUEST card) and/or housing subsidies to work 80 hours per month and if that goal is not met, to impose sanctions and ultimately, revoke the benefit. In April 2015, Wisconsin created a similar FoodShare requirement for so-called “childless adults” which include the majority of typical low-income noncustodial parents. Since then, about 21,000 Wisconsin residents using food stamps have met W-2’s employment requirement through state employment programs. But here’s the catch: 64,000 FoodShare recipients lost benefits entirely. This means that for every one FoodShare recipient who has met the 80-hour-per-month requirement, three have not, and all three have lost access to this piece of the safety net as a result. Essentially, the new proposal would expand a requirement for a benefit intended to provide food for children and adults, a requirement that has succeeded for just 1 in 4 people in a pilot program, hardly a success. It would now include even more adults, parents and children in need. Many of these marginalized parents already feel additional burdens around work, money, housing and feeding their children. While the Governor indicates that there will be more supports to help FoodShare recipients find jobs, low-income parents of color continue to face many employment and housing challenges in seeking self-sufficiency. Self-sufficiency can remain out of reach for a multitude of reasons: lack of transportation, limited access to affordable, geographically reasonable, and safe child care; racial discrimination; access to affordable housing; inconsistent work schedules; low wages and jobs with no benefits, among others. These challenges affect low-income parents’ ability to find and keep any job, much less a job with a living wage or a career ladder. Yet even if low-income noncustodial parents successfully navigate and endure these challenges and manage to obtain and retain work, they might receive a paycheck reflecting substantially less than 40% of their earned wages. When reviewing a paystub, many low-income noncustodial parents see common deductions like Social Security and a monthly child support payment, but many also have deductions for arrears and By federal law, the state can deduct up to 60% from a noncustodial parent’s paycheck for the current payment and for arrears. The remainder might not be enough to allow for self-sufficiency, much less to help families move toward economic security or even income stability. If child support payments are not made regularly, many noncustodial parents are at risk of going to jail and will in that case likely lose their jobs, while child support arrears often continue to accrue. Whether they work more or less than 80 hours per month, these parents and children need access to safety net services including food and housing. It is also important to note that, for the poorest families who have ever received cash benefits from the state, the state deducts a portion of the payment to reimburse state welfare payments to the family. According to the Office of Child Support Enforcement, as of 2015, child support debt in Wisconsin totaled $2.6 billion. Approximately 17%, or $449 million, of that was owed by families with the lowest incomes to the government to repay W-2 benefits. Wisconsin Works for Everyone purports to incentivize work and is touted for its intention to reward working families and move families out of poverty. Yet, for the families with the greatest financial needs, it appears that they are simply being ‘helped” to pay the state money the parents and children can ill afford. Reforming the welfare system is necessary to ensure that Wisconsin works for everyone. But effective reforms will focus on changing policies and practices to help ensure that low-income fathers and mothers (regardless of whether they live in the same residence as their children) will be able to provide for their children. Creating more requirements rooted in an inaccurate perception that low-income parents do not want to take care of their children simply ensures that they won’t be able to do so. In fact, expanding the requirements for FoodShare recipients and shrinking the safety net that already fails to effectively support childless adults ensures that Wisconsin will increase its numbers of homeless adults and children who are not getting the nutrition they need.